Encaustic painting is the application of molten wax to a surface. This ancient form of painting originated with the ancient Romans. A range of affects can be achieved from delicate transparent glazes to thick, opaque, and textured surfaces. 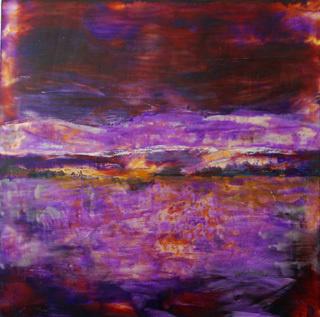 This 1 day workshop will introduce techniques used in encaustic painting. Through a series of exercises comfort with the medium will help you make an 8 x 11 finished piece. Techniques that this course will cover include collage, glazing, cold and hot wax medium, sgraffito, impasto, photo transfer and mono printing. Wax, equipment and some paint included in cost of class. Previous experience in encaustic not required. Spend a day concentrating on incorporating the range of encaustic techniques while you develop your ideas and concepts into visual language. The day will include a review of techniques used in encaustic painting. Techniques to be reviewed include, collage, glazing, hot and cold wax medium, sgraffito, impasto, photo transfer and mono print. Students will work closely with the instructor to develop their own series of completed pieces. Wax, equipment and some paint included in cost of course. This is an intermediate level course designed for students with introductory encaustic experience.